With over one billion dollars in listings and sales during his career, Michael Rodgers has built a profound reputation as a skilled negotiator who represents his clients and their properties with the utmost discretion, integrity and professionalism. Michael has been marketing and selling high end Luxury Estate properties throughout the world since 1999. He has been given numerous sales achievement awards throughout his career, and was recently ranked in the "Top Five" for Closed Sale Production out of 70,000 agents Internationally. The key to his success is his unstoppable drive to exceed his clients' expectations, and his calm and steady approach during even the most emotional of negotiations. Those qualities and others are why many of the world's most renown personalities, business professionals, politicians, and high net worth individuals seek his counsel when buying or selling their Real Estate investments. During his career, Michael Rodgers has owned or co-owned multiple Real Estate firms throughout the world, and most recently was the Broker/Owner of Roatan Realty on the lovely Caribbean Island of Roatan, in the Bay Of Honduras. Michael's in-depth knowledge of the Westside communities, the Real Estate market, marketing savvy, use of social media, highly effective negotiation skills, and a top tier quality professional network, are all hallmarks of his success. Michael Rodgers and his team The Rodgers Group specialize in the marketing and sale of Luxury Estate properties throughout Southern California, Los Angeles, Bel Air, Holmby Hills, Beverly Hills, Brentwood, Pacific Palisades, Santa Monica, Malibu, and he has recently expanded with offices in Santa Barbara and Montecito. Michael has the insight and expertise that has made him the go-to person for high-net worth homeowners, investors and first time buyers alike. 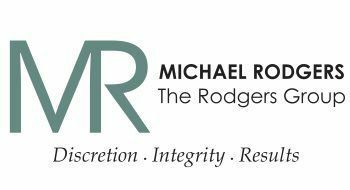 Michael and his team The Rodgers Group look forward to providing you with a world class Real Estate experience in the purchase or sale of your Real Estate investments. With decades of high end client services behind him as the Director of Tennis at famed MountainGate Country Club in Los Angeles, Doug brings a wealth of customer service knowledge and expertise with him to the Luxury Real Estate market. With high level communication and client follow-up as the foundations for his business, Doug works tirelessly on his client's behalf during every phase of a transaction. We are honored to have him as part of our team at The Rodgers Group. With over 20 years as one of Los Angeles' premier event planners and designers, Shannon comes to The Rodgers Group with decades of experience providing a high-end client service experience. As a buyer or seller of property with The Rodgers Group, Shannon will oversee all details of your client experience and make certain that all of the details are attended to and that your needs throughout the transaction are met. We know that buying and selling of properties can be a stressful experience. With Shannon on your side, you will be in great care when working with our team at The Rodgers Group. Born and raised in Detroit Michigan, Joe is no stranger to hard work. The son of a truck driver, he learned at a young age the value of a great work ethic. Joe has dedicated his life to the service of others. He began work in the service industry at age of 16, and developed 8 years of experience in fine dining before segueing into real estate. Joe graduated Eastern Michigan University with a Bachelor’s of Science in Psychology which helps him excel in anticipating the needs of his clients, and ensuring they are represented at the highest level when it comes to negotiating. He lives in West Los Angeles with his significant other, Lauren and their rescue dog, Benji. When he is not working hard on the behalf of his clients, he volunteers at the Boys & Girls Club of Venice, Habitat for Humanity, and organizing neighborhood clothing drives to give to those in need.